What are the divisions of the geologic time scale? The geologic time scale divisions have changed significantly over time, mainly because of new fossil discoveries and better radiometric dating techniques—and it will no doubt continue to change. 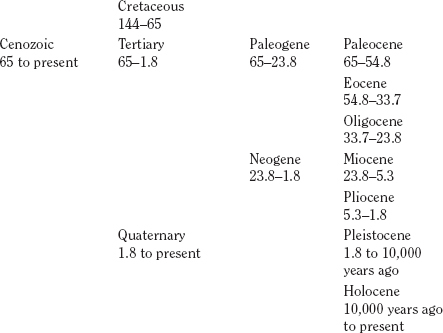 The following table is a general listing of the geologic time table based on current interpretations of rocks and fossils.